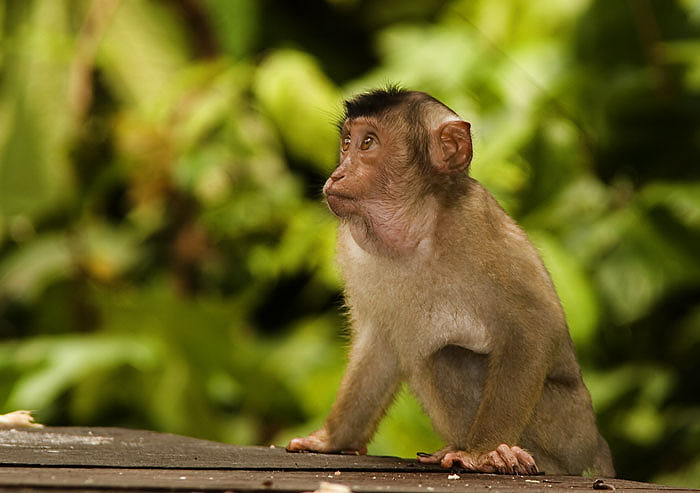 Its claim to fame is that it is the smallest monkey in Central America. In fact, it is only between 22 to 24 centimeters (8.9 – 9.4 inches), excluding the tail. Funnily enough, the tail of the Geoffroy’s Tamarin is actually larger than its body size, at about 31 to 38 centimeters long (12.4 – 15.2 in.). They have a similar weight to the cottontop tamarin, as males have an average weight of 486 grams (about 17.1 oz). Another odd fact is that the female Geoffroy’s Tamarin are actually larger than its male counterpart, as it weight 507 grams (17.9 oz.) on average. 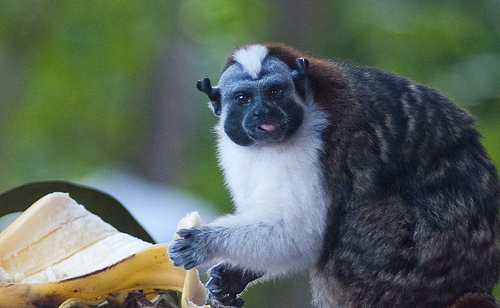 Geoffroy’s Tamarin varies between black and yellow on its back, and has pale colored feet, legs, and chest. Its face is almost bare, except that its head has reddish fur with a triangle-shaped patch on the front of its head. The tail is chestnut-red in color with a black tip. It has a varied diet that includes fruits, insects, gums, saps, and parts of green plants. However, its diet is seasonal and depends what is around the area it is foraging. 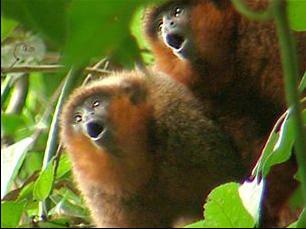 It also has a number of different vocal sounds, including whistles, twitters, sneezes, rasps, and trills. 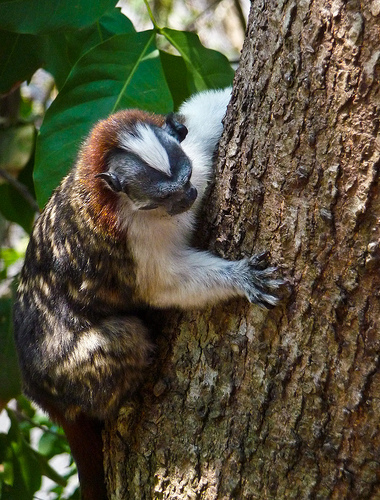 Fortunately for the Geoffroy’s Tamarin, it has a healthy population. 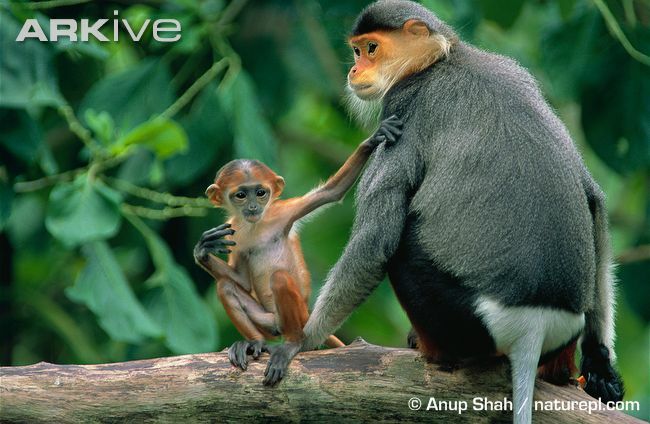 However, there are some areas where its population is declining through deforestation and the fact that it is hunted and sometimes captured as a pet in Panama.